1. Who is NRI / PIO / OCI ? A. A non-resident Indian (NRI) is a citizen of India who holds an Indian passport and has temporarily emigrated to another country for six months or more for employment, residence, education or any other purpose. 2. Who is a PIO (Person Of Indian Origin) ? A person of Indian origin (PIO) is a person of Indian origin or ancestry who was or whose ancestors were born in India or nations with Indian ancestry but is not a citizen of India and is the citizen of another country. A PIO might have been a citizen of India and subsequently taken the citizenship of another country. Other terms with vaguely the same meaning are overseas Indian and expatriate Indian. In common usage, this often includes Indian-born individuals (and also people of other nations with Indian ancestry) who have taken the citizenship of other countries. 3. Who is a OCI (Overseas Citizenship of India) ? The Overseas Citizenship of India (OCI) Scheme was introduced by amending the Citizenship Act, 1955 in August 2005. The Scheme provides for registration as Overseas Citizen of India (OCI) of all Persons of Indian Origin (PIOs) who were citizens of India on 26th January, 1950 or there after or were eligible to become citizens of India on 26th January, 1950 except who is or had been a citizen of Pakistan, Bangladesh or such other country as the Central Government may, by notification in the Official Gazette, specify. India is the investment hotspot for global money. Top fund managers, investors and analyst are swearing by the long term, domestic demand driven, growth story of India, supporting valuations and financial market outperformance. 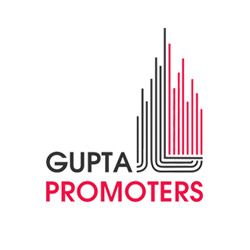 Gupta Promoters with its extensive market reach, experience and cutting edge technology platforms, provide the perfect vehicle for you to invest and benefit from the Indian real estate. Being an NRI, time distance and lack of knowledge will no longer come in the way of your investments. What should a NRI Buyer keep in mind while purchasing a residential flat ? Confirm transfer fees, stamp duty and registration charges to be paid on purchase of the property as well as outgoings to be paid for the property, i.e., property tax, water and electricity charges, society charges and maintenance charges. In what way should the purchase consideration for the immovable property be paid under the general permission? What are the guiding principles for getting hold of agricultural land / plantation property / farmhouse by NRIs and foreign citizens of Indian origin? NRIs/PIOs can effect remittance of sale proceeds of immovable property in India irrespective of the period for which the property was held. The sale proceeds allowed to be repatriated should, however, not exceed the foreign exchange brought in to acquire the said property. In case of residential property, the repatriation of sale proceeds is restricted to not more than two such properties, if the property was purchased from funds held in NRE Account. Can NRI's/PIO's rent out the properties (residential/commercial) if not required for immediate use ? Own contribution, which is the cost of housing unit financed less the loan amount, can be met from direct remittances from abroad only through normal banking channels, your Non-Resident (External) [NR (E)] Account and /or Non-Resident (Ordinary) [NR (O)] account and /or Non-Resident Special Rupee account [NRSR] in India. Reimbursement of the loan, comprising of the principal and interest including all the charges are to be remitted from abroad only through normal banking channels, your Non-Resident (External) [NR (E)] Account and /or Non-Resident (Ordinary) [NR (O)] account and /or Non-Resident Special Rupee account [NRSR] in India. What are the documents required along with the application? Photocopy of the labor contract and English translation duly countersigned by your employer. Photocopy of labor card/identity card. Photocopy of monthly statement of local bank account for the last 4 months.